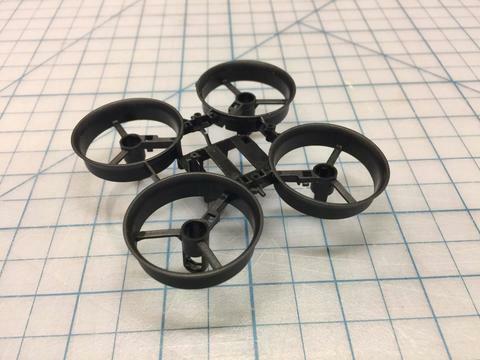 The incredibly tiny quadcopter that you can fly around people and they won’t mind. In fact, they’ll think it’s cute. That’s awesome! 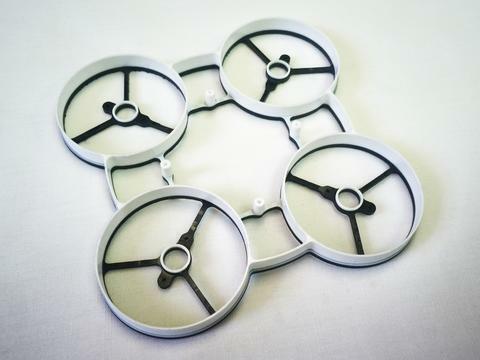 In a culture where people are increasingly perceiving drones as threats, the Tiny Whoop is a welcome drone that we can fly to our hearts content without scaring people. Ever since Jesse Perkins put an FPV camera on a Blade Inductrix, Tiny Whoops have become all the rage – and even though there are plenty of brushless options now as far as micros go, there is something just really special about a Tiny Whoop. Initially, the only way to build a Tiny Whoop was to use the Blade Inductrix and pop an FPV camera on it, and upgrade the motors and battery. 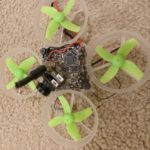 Since they’ve become so popular though, there are a whole lot more frames out there now so a whole lot of ways you can change up your Tiny Whoop or save some money in the process. 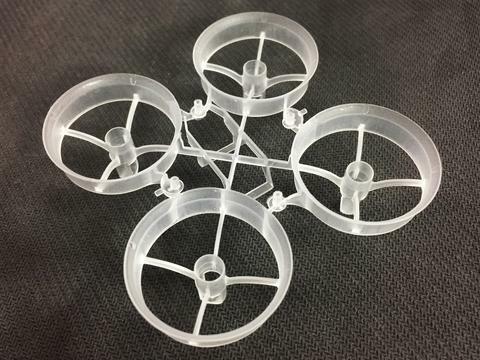 This is the original “Tiny Whoop” and it’s the one I still fly – the stock Inductrix frame is not very expensive, is very light at just 3.2 grams, and quite durable. 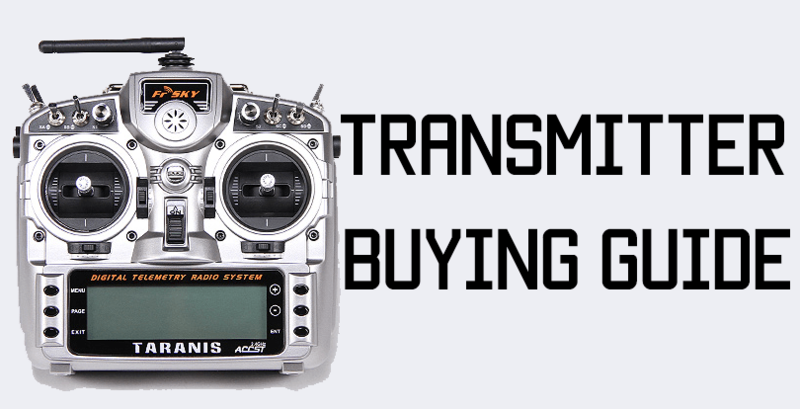 It’s available in clear plastic from nearly everywhere. 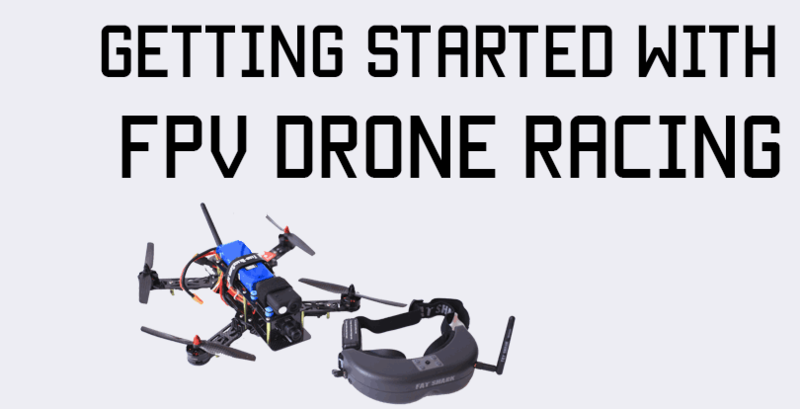 Since you want to try and shave off as many grams as possible on a Tiny Whoop build, the stock frame was and still is one of the best ways to go. However, since the frame is so light, some people find it flexes or breaks too easily, so they add a little 3d printed or carbon fiber brace on the motor housings, which adds some good strength but at the cost of a gram or two. 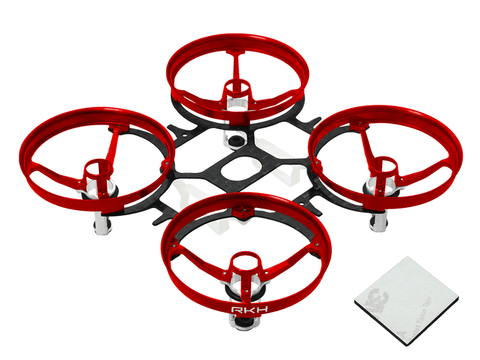 Next up is the Eachine E010 frame coming it a little heavier than the stock Inductrix frame at nearly 5 grams. These 2 grams make a big difference in flight performance, for a price difference of just 2-3$. 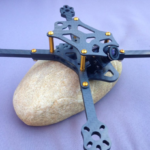 Some people say the Eachine frame is more durable than the stock frame, though, so if durability is a really important factor for you, then perhaps the extra two grams won’t be such a huge issue. 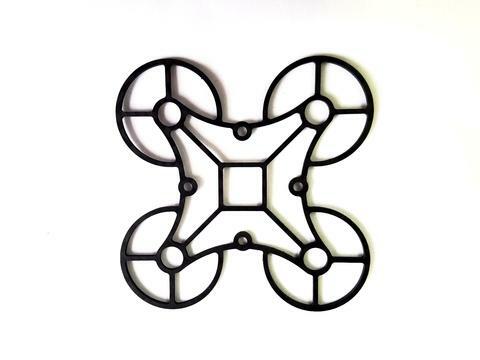 To really spice up your Tiny Whoop, pick up a Rakon carbon and aluminum frame. It’s only a gram heavier than the stock frame, so it won’t make that big of a difference in your flying if you have got decent motors. However, bear in mind that even though it is aluminum and carbon, it’s not bulletproof, and bad crashes can bend it out of shape. The plastic frames are actually more flexible in that sense. But if you’ve gotta have it, you’ve gotta have it, right? It’s available in multiple colors too. Pretty much the same frame as above, but instead of aluminum, made out of delrin. This makes it a little lighter than the aluminum version, and the ducts are more flexible, but people say that it’s less durable than the stock frame, so you may as well get 6 stock frames for the price of one delrin frame! The RAGG-E frame is a super durable frame made out of a single piece of HDPE plastic. 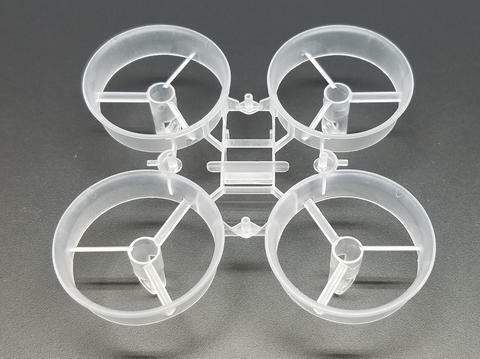 It’s made by RAGG-E who make full size miniquad frames too, out of plastic! The HDPE is very durable and even if it bends, you can use your hands to mold it back into shape. 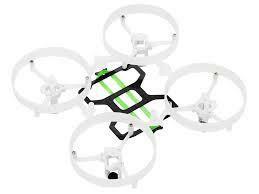 It’s durable enough that a 23 gram copter crashing from any height at any speed will not break it! Cockroaches are icky, but they are remarkably resilient – one of the most resilient creatures on Earth in fact. 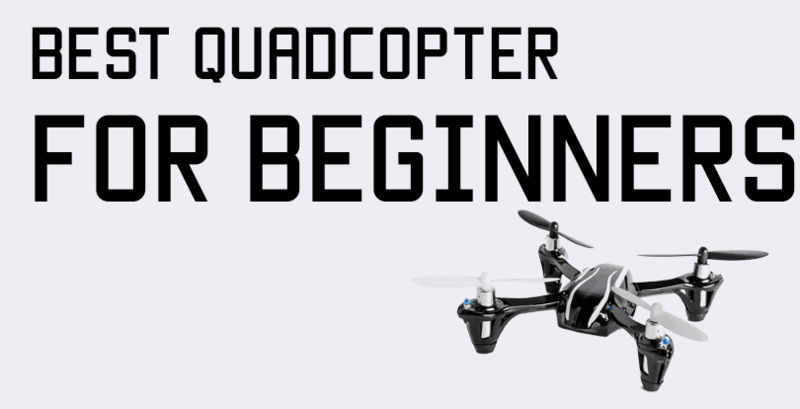 I suppose that’s why they decided to name a quadcopter frame so. I can’t believe the reaction the wife would have if I told her I was going to fly the cockroach. Eek. Anyhow, it’s super light at 3.4 grams and super durable, too – even more so than the stock frame. Plus it’s cheaper than the stock frame, so there’s no reason you shouldn’t use this frame…unless you really, really, really loathe cockroaches. The SMR frame is all carbon fiber with motor mounts and camera mounts printed with TPU – the frame itself is very well designed and reduces drag, making it good for racing. It’s light, comparatively cheap(to the Rakon Heli frames) and durable – since it’s 1.5 mm carbon fiber. Since there are so many different parts(10 in all – 1 frame, 4 motor mounts, 1 camera mount, 4 FC mounts), it can be a handful to put together, especially since it’s so, well, tiny! 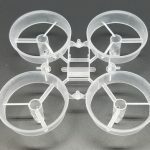 There are other options as well, such as a Rakon clone on Banggood and the ShenDrones Goldberg, as well as other modified Tiny Whoop stock frames on the official store – however the ones listed above are the most popular. If you’re building your first Whoop, get the stock frame or the Cockroach – and once you expand your fleet(you’ll have to), pick up some new frames.